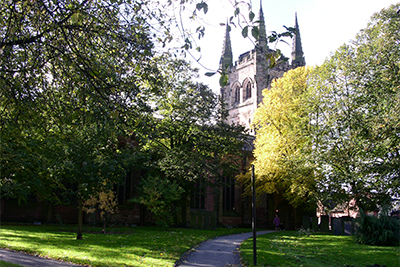 Dating back 1200 years, St Editha's Church is the largest medieval parish church in Staffordshire. Most of the church is 14th century and 15th century, with some 19th century additions, and is a Grade 1 listed building. The present building stands upon the ground where successive churches have stood since the eighth century. The church was extensively restored during the late 1800s and is well known for its unique double spiral staircase in the tower. This splendid building has served the community, and been the focal point of Christian worship, for over 1,200 years and continues to be the centre of focus for the town's weekly Christian celebrations to this day, together with many civic services including Mayor Making, Remembrance and other popular services. Download St. Editha's leaflet for more information. Known as 'The Grand Old Lady of Corporation Street', this amazing building was built by public subscription in 1889 to commemorate Queen Victoria’s Golden Jubilee of 1887. 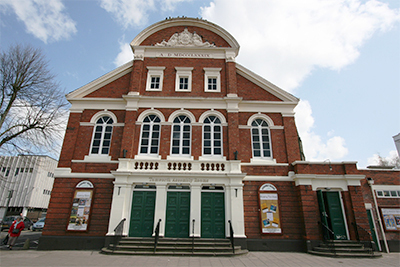 The assembly rooms has been used for everything from assembling gas masks during WW11, to a venue hosting many local groups and household names. These include The Beatles, who played to a sell out audience in February 1963, as did The Rolling Stones in December that same year. The first of many concerts over the years by Marty Wilde and his Wildcats took place in 1964. Other famous names who have entertained include; The Hollies, Alvin Stardust,The Searchers, The Fortunes, Gerry & the Pacemakers, Bob Geldoff, Elkie Brooks, The Drifters, Chaz ’n’ Dave, Ken Dodd, Joe Pasquale, Bobby Davroe, Bradley Walsh, Paul Daniels and many more. The building is currently closed while redevelopment will take the 125-year-old theatre into the future. The venue will undergo a complete transformation, including a new café and exhibition space, new box office, double glazed front doors and the addition of a glass studio space at the side of the building. Tamworth Town Hall was built in 1701, by Thomas Guy, the then MP for Tamworth. The original design consisted of a single room supported by 18 Tuscan style stone pillars. The area beneath the hall served as the Butter Market and later housed the town’s first fire engine. 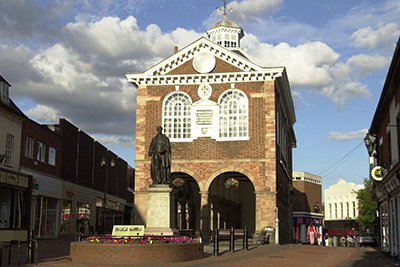 The clock on the front of the Town Hall was presented to the town in 1812 by the then owner of Tamworth Castle, John Robbins. Tamworth's most famous politician, Sir Robert Peel,reportedly read the first political manifesto to the people of Tamworth from the Town Hall window in 1834. The Town Hall is currently owned by Tamworth Borough Council. It contains the Mayor's Parlour and is used for numerous events and civic functions. Download the Town Hall leaflet for more information. 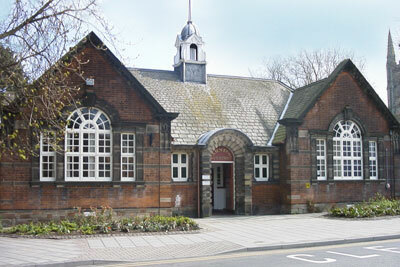 The Carnegie Centre in Corporation Street started life as a free library and public reading room. It was built at the start of the 20th century at a cost of £2,000, thanks to the generosity of Scottish American steel multi-millionaire Andrew Carnegie, who helped create libraries in several towns and cities across the UK and USA. It was taken over by Tamworth Borough Council in 1917 and when the new, much larger library was built behind it, the centre became home to various voluntary groups and charity organisations over the years. Today, the building is part of a major development project around the area now known as the 'Enterprise Quarter' and in time is expected to be given a new lease of life as a restaurant. The Almshouses were also built by Tamworth's most famous benefactor Thomas Guy. The original building was established in 1678, at a cost of £200, to provide individual homes and a large central garden for seven poor women. In 1692 the building was extended to allow men to take advantage of the facilities as well, but all people of Tamworth were banned from using the Almshouses in 1708 after Guy's failed attempt to become MP for Tamworth. 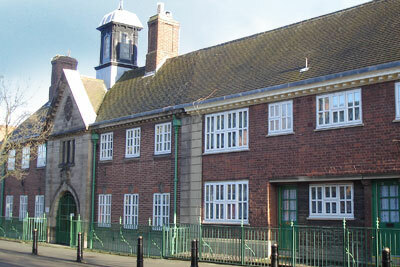 The original building was demolished in 1912 and a new Almshouses was established on the same site in a 'Free Georgian' architectural version of the original. They were further amended and extended in 1928 and 1936 and have remain unchanged since. It now operates as the Charity of Thomas Guy, the Almshouses, providing housing for the people of Tamworth, many of whom are elderly and/or vulnerable. Download the Almshouses leaflet for more information. The historic Grade II* listed Moat House is one of Tamworth's most renowned buildings, thanks to its interesting and chequered history. Built in 1572, the multi-gabled mansion house was the seat of the ancient and noble Comberford family for many years. In 1619, Prince Charles was entertained here before he became King Charles I. The house saw many owners throughout the ages until the 19th century when it was bought by the town physician, Mr Robert Woody, for use as a private nursing home for the mentally ill. It is believed that the ghost of a young girl called Emily walks the third floor corridors after dying in a fire when her father locked her in the tower. There is evidence of a fire, but nothing to suggest where it was in the building or if anyone died. 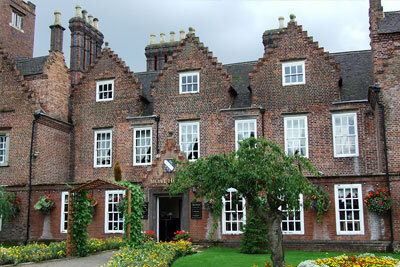 Many people visit the Moat House for ghost searches, in the hope of witnessing paranormal activity. Today the Moat House serves as a bar and restaurant with extensive gardens and a function suite. 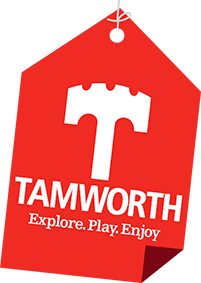 The Tamworth Heritage Trail is a colourful self-guided tour of historical buildings and features in Tamworth town centre, highlighting the rich history and heritage still visible in the town today. The Heritage Trail leaflet gives a brief historical background and also includes some quirky historical facts. You can pick up a copy directly from Tamworth Tourist Information Centre, or download the Heritage Trail leaflet for more information.